Among the biggest ideas in investing right now is the concept of quantitative investing. It’s not really a new investing strategy but it is a newer approach to investing that relies on tools that weren’t widely available to individual investors until recently. Quant investors use computer screening to find investment ideas. They might use a database to screen for stocks with low price to earnings (P/E) ratios. Professional investors have had these tools for decades and many have put the tools to good use. Consider James Simons, an investor who may not be as well know as Warren Buffett but who has a track record that might be even more impressive that Buffett’s. After graduating from MIT, Simons worked as a cryptographer cracking codes for the Department of Defense during the Vietnam War. After that, he taught math at MIT and Harvard. He worked with other researchers to develop a theorem for differential geometry that’s called the Chern-Simons forms. Experts say it is an important tool for theoretical physicists working to identify the smallest forces in the universe. In 1982, Simons left academia and decided to apply his math skills to the financial markets. He founded Renaissance Technologies, a hedge fund group that uses complex math tools to take advantage of inefficiencies in futures, currencies, and the stock market. His firm now employs more than 300 professionals, many with PhDs in math and science. His benchmark fund, the Medallion Fund delivered annual returns of 35.6% at a time when the S&P 500 gained an average of 9.2% a year over twenty years. That return is after fees and Renaissance charges what might be the highest fees in the industry. The firm charges a management fee of 5% a year and also takes 44% of the gains above a benchmark. Typically, a hedge fund charges less than 2% a year and retains 20% of gains above the benchmark. Simons might be the best quantitative investment manager in the world. 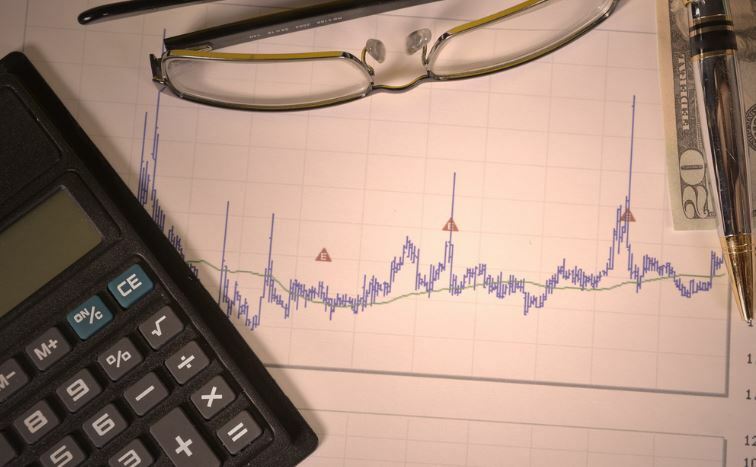 Many investors focus on fundamental analysis, technical analysis or a combination of the two. Fundamental analysts will sort through a company’s income statement, its balance sheet, and the company’s statement of cash flows, adjusting the reported numbers as appropriate to develop the values needed to complete a discounted cash flow analysis to determine the company’s value. Technical analysts review price charts in search of patterns and study indicators designed to show the direction of the trend or highlight potential reversals in the trend. A quantitative approach to investing relies on computers to identify characteristics of successful stocks. Based on historical performance of that factor, the investor buys all stocks that meet the defined criteria and sells when predefined sell rules are met. Quants often use the computer output to drive all decisions. They may not supplement that output with any other analysis. This has provided success and outsized returns to some investment managers. But, for many years it requires data and programming skills to find stocks with a quant strategy. Now, those tools are available to individual investors and some tools to implement quant strategies are even available for free. One way to find stocks meeting a variety of predefined requirements is with the free stock screening tool available at FinViz.com. At this site, you could screen for a variety of fundamental factors like free cash flow, high levels of institutional ownership and bullish institutional transactions. The site also allows investors to screen for a variety of technical factors. We can quickly work through an example to demonstrate how this tool could be applied. The screen below shows all of the available filters. There were 7,446 stocks in the database on a recent day. We want to search for just a few that could be good investments. We will combine fundamentals and technical data in a search for the right stock (fundamentals) at the right time (technicals). To ensure the stock is tradable at a reasonable cost, even in a market crash, we will limit the search using market cap selecting just the largest which are labeled “mega cap.” All selections are made with pull down menus as shown below. That reduced our potential buys to just 33 stocks. The screen updates with each selection so that you know whether or not a criteria is too restrictive or not restrictive enough. To increase the potential buys, we will change this selection to “+large” cap stocks, those with a market cap of $10 billion or more. We now have 718 stocks in our screen. For a fundamental factor, we will use “price / free cash flow.” Some studies have shown this an excellent predictor of future stock market performance. Any criteria could be used depending on your preference. Selecting a low P/FCF ratio, defined by FinViz as less than 15, left 90 stocks in our screen. Now we want to add a technical filter. For this, we want to focus on “buying dips” which can be defined as stocks in long term up trends but short term down trends. The criteria for FinViz is that the stock be above its 200-day moving average, a long term up trend, but below its 20- day moving average, and a short term down trend. These criteria are shown in the next chart. This left us with 17 stocks, enough for a diversified portfolio. The screen could be rerun once a month, rebalancing the portfolio based on the most current data. Alternatively, a screen could be constructed of purely technical criteria or based solely on fundamentals. Quant investing can be adapted to your personal investment style preferences and to your desired criteria to define expected levels of risk. This is an adaptable tool which has been proven to deliver superior performance in the hands of some managers. For individual investors, an added benefit is that quant investing imposes discipline with strict buy and sell rules needed and a plan for action in bull and bear markets.